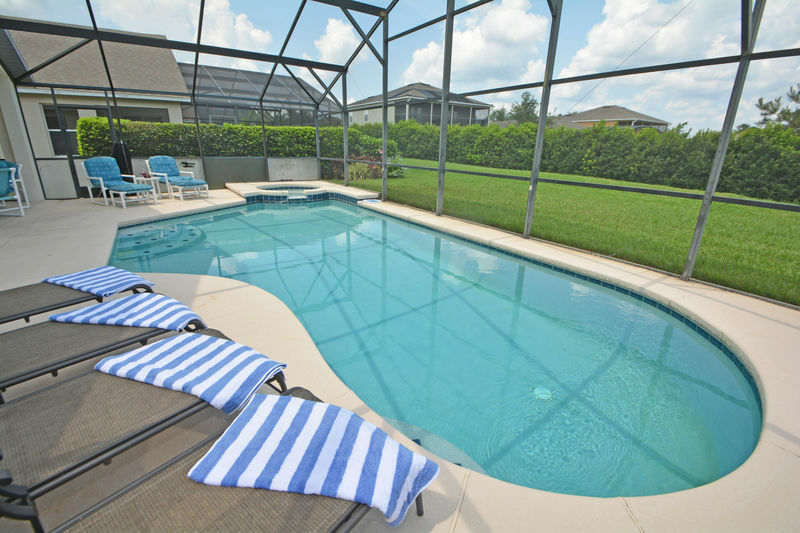 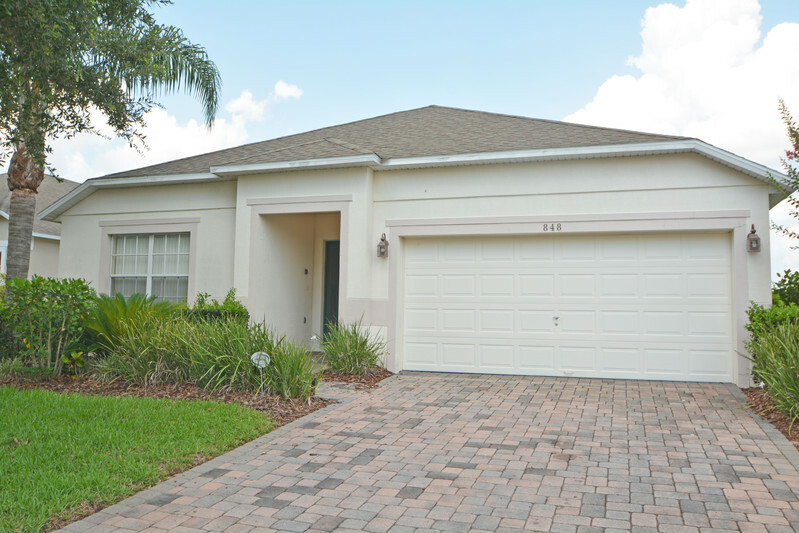 Stunning 4 bedroom, 3 bathroom vacation pool home located in the community of The Sanctuary at West Haven which is minutes from the Disney World Resort in Orlando, FL. 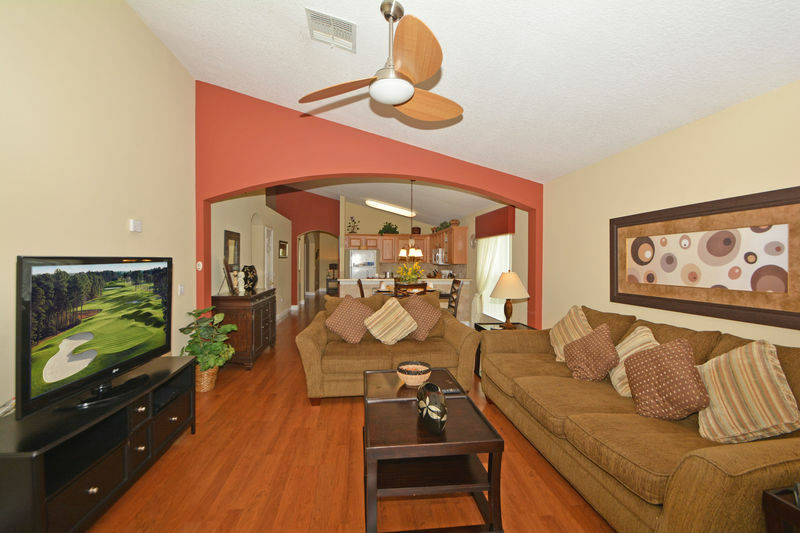 This home away from home benefits from wooden floors throughout. 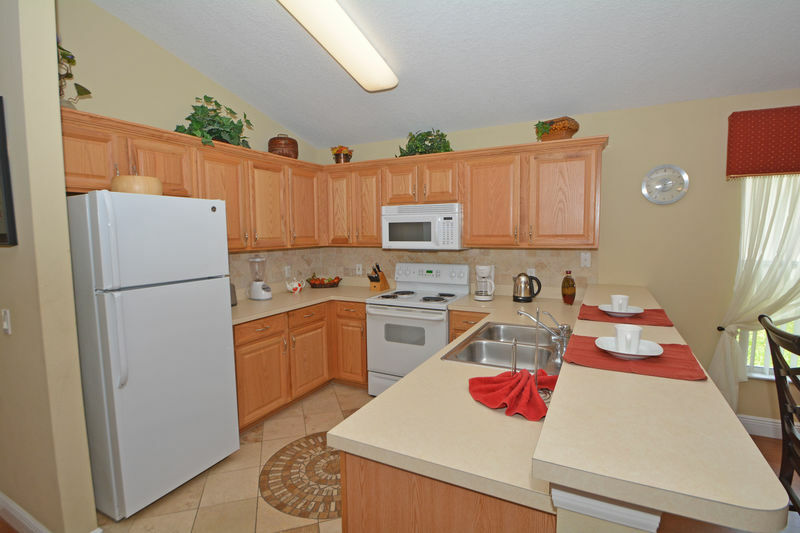 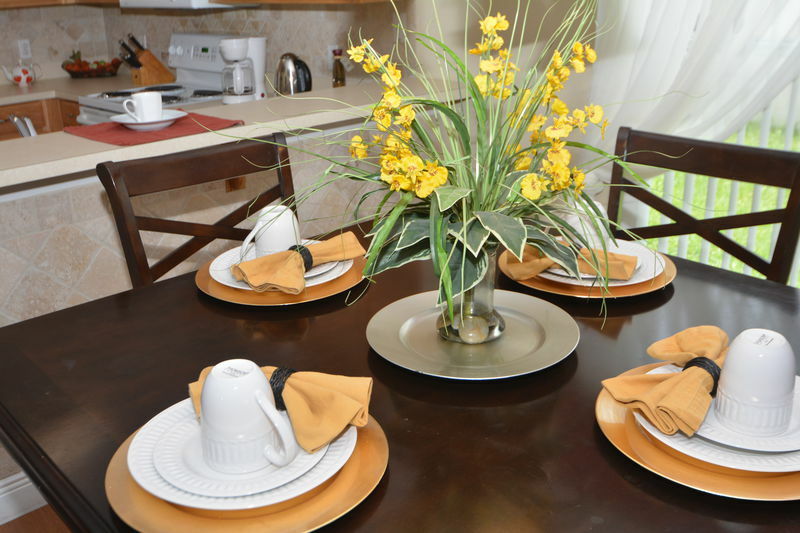 The kitchen in this home is fully equipped with all appliances, dishware and cookware you could need. 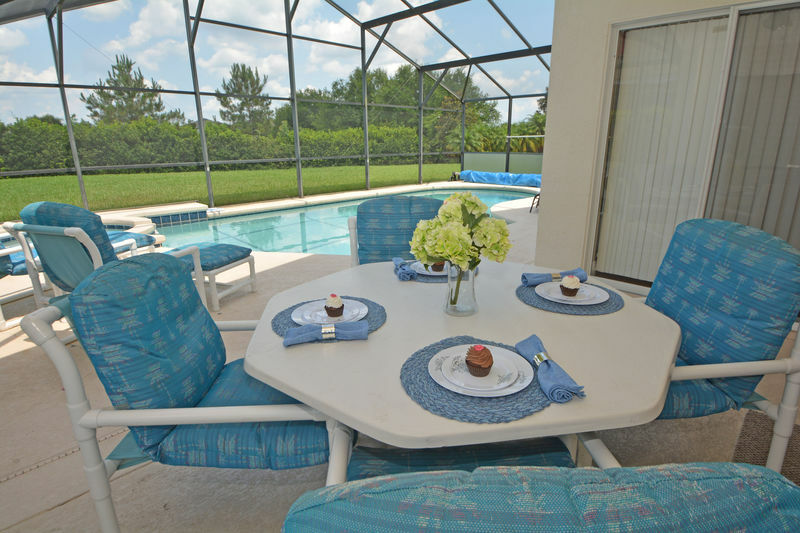 You will enjoy being able to prepare your favorite snacks and meals just like at home when you stay in this vacation home. 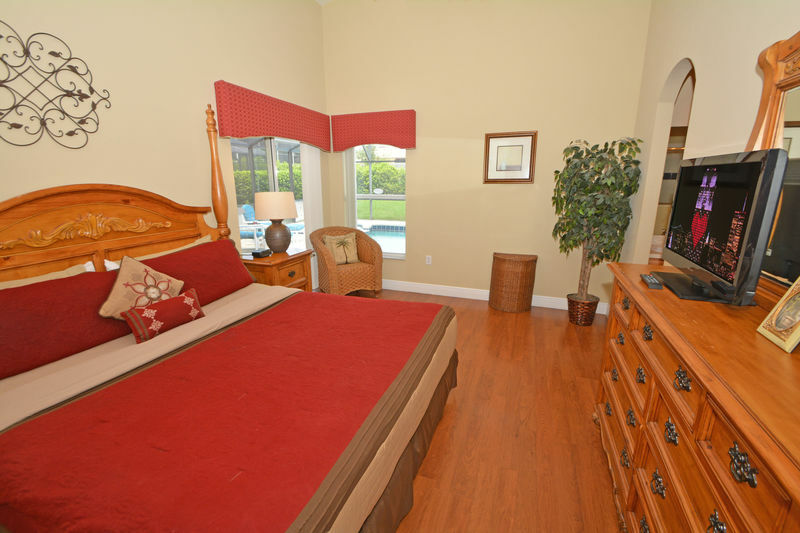 Master Bedroom has a King size bed, TV, WIC. 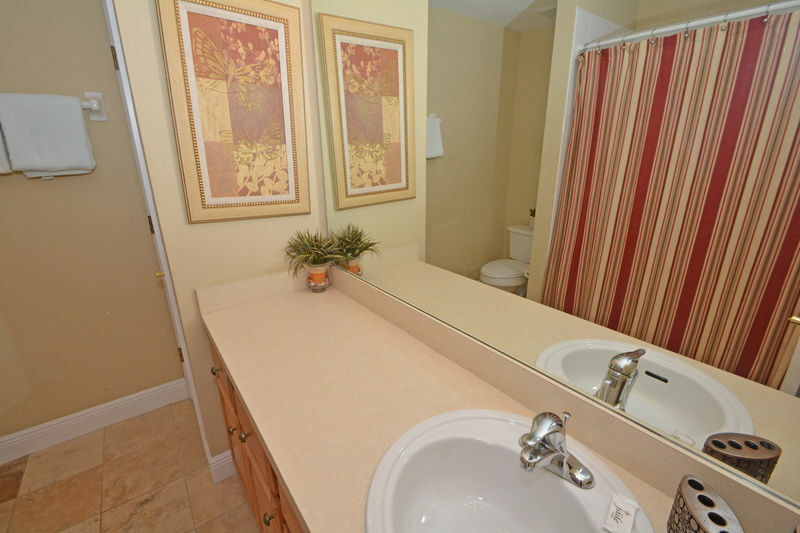 Master en-suite bathroom with 2 basins, corner tub, wc, shower, hairdryer. 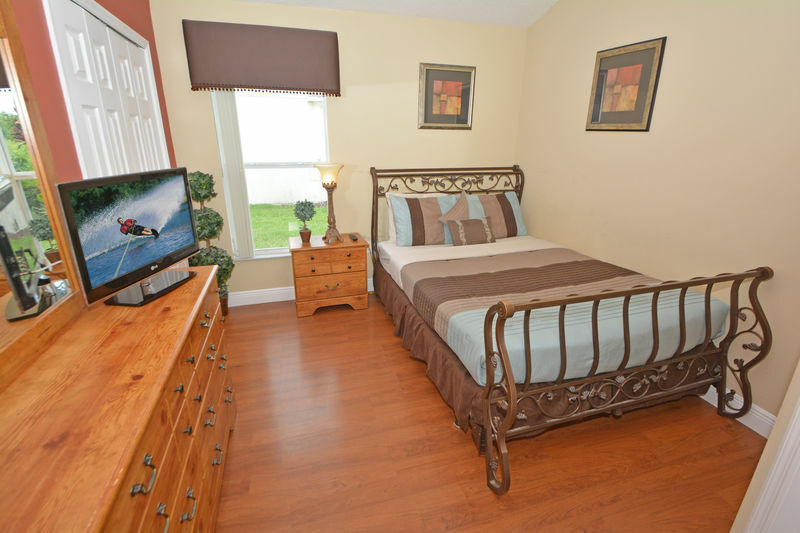 Second bedroom has a full bed, double closet, TV. 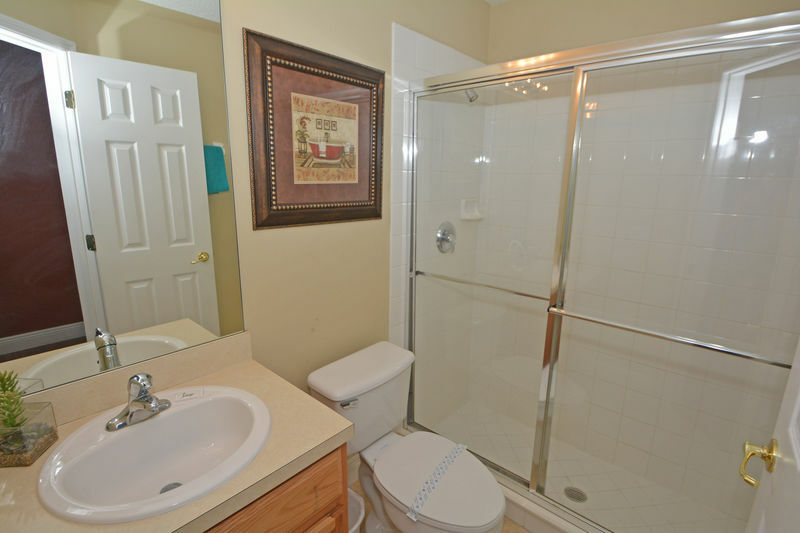 En-suite bathroom with single basin, wc, shower, hairdryer. 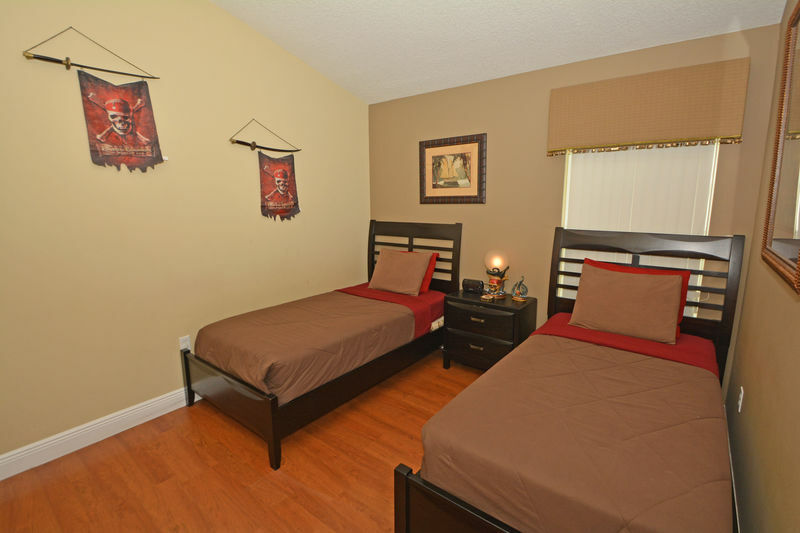 Third bedroom has a Pirate theme with twin beds, double closet, TV. 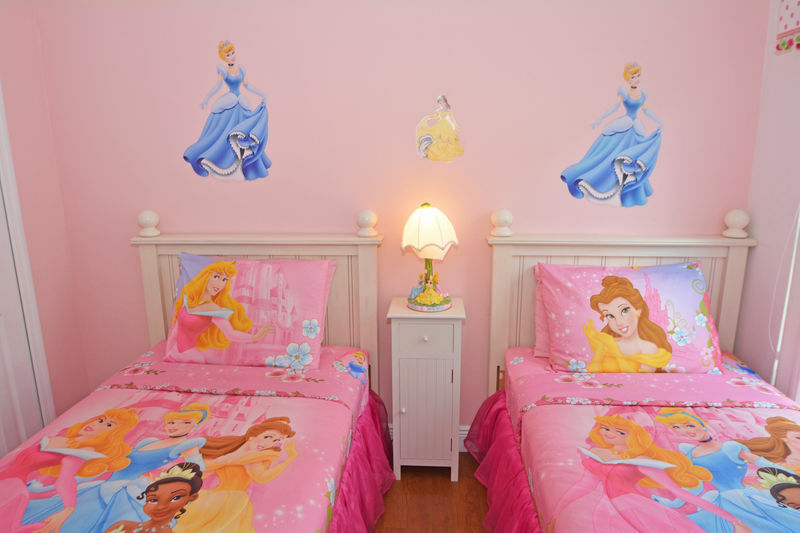 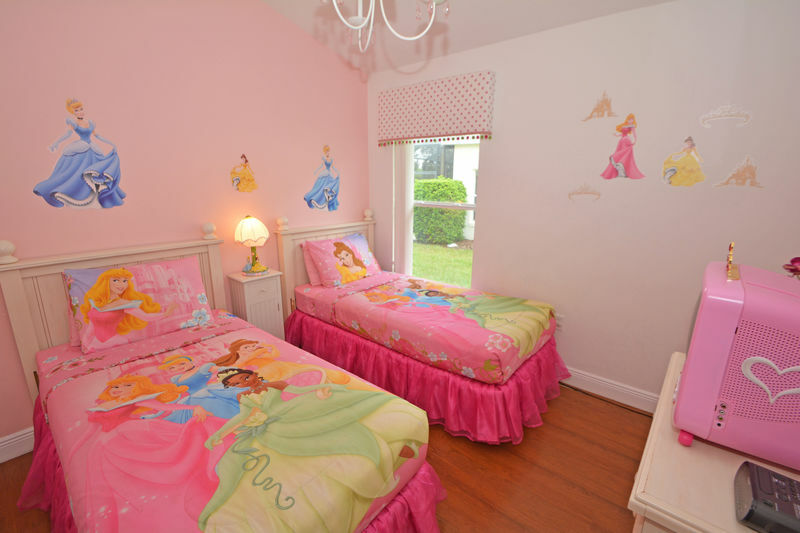 Fourth bedroom has a Disney Princess theme with twin beds, double closet, TV. 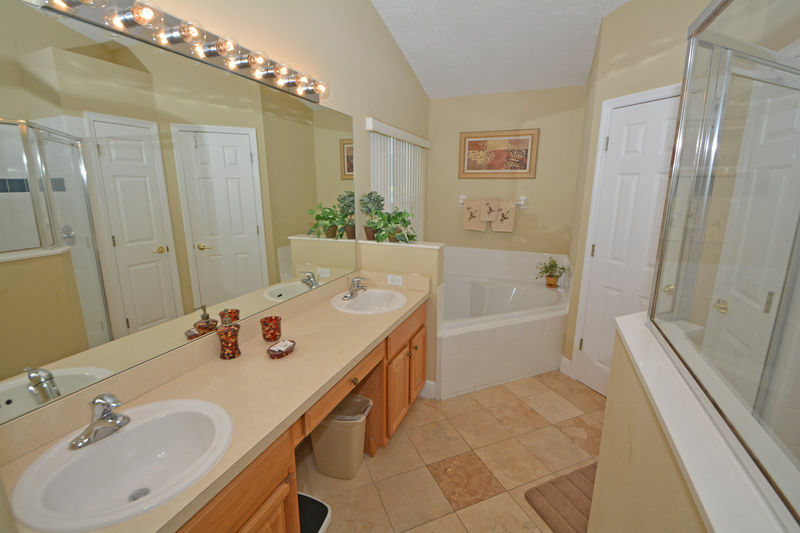 Family bath: Bath/shower, WC, basin, hairdryer. 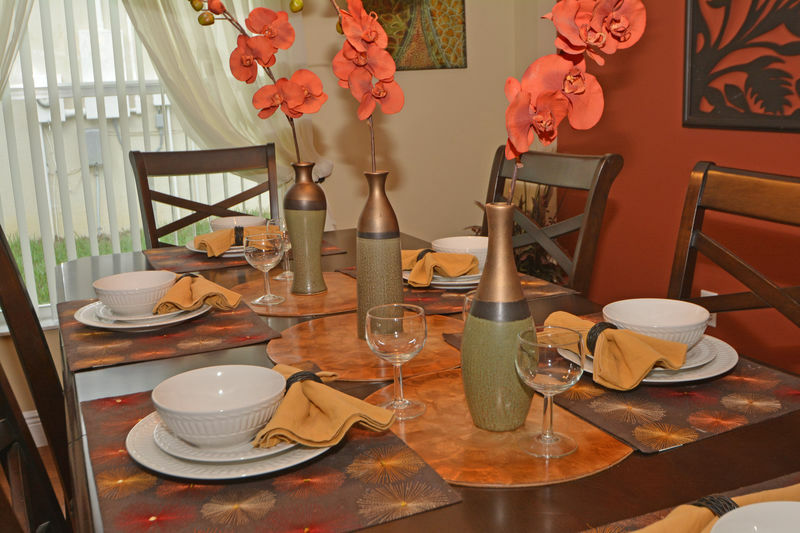 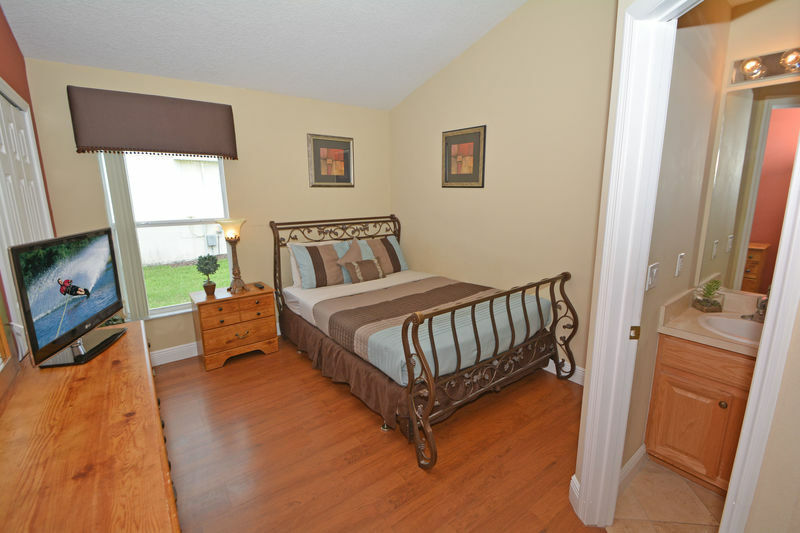 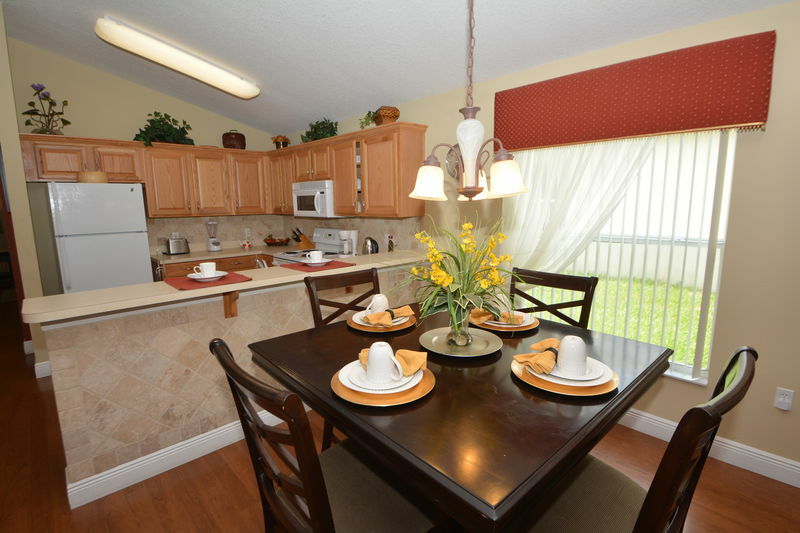 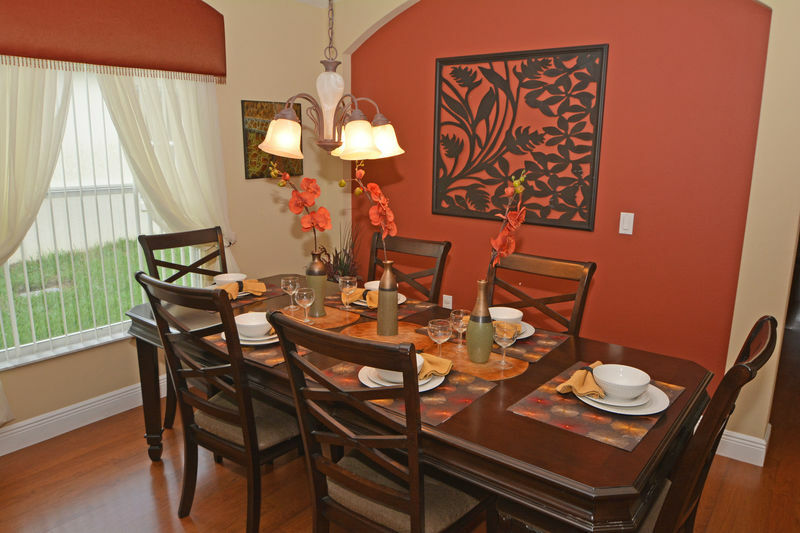 Fully equipped kitchen with tiled floor and breakfast nook with seating for 4 people. 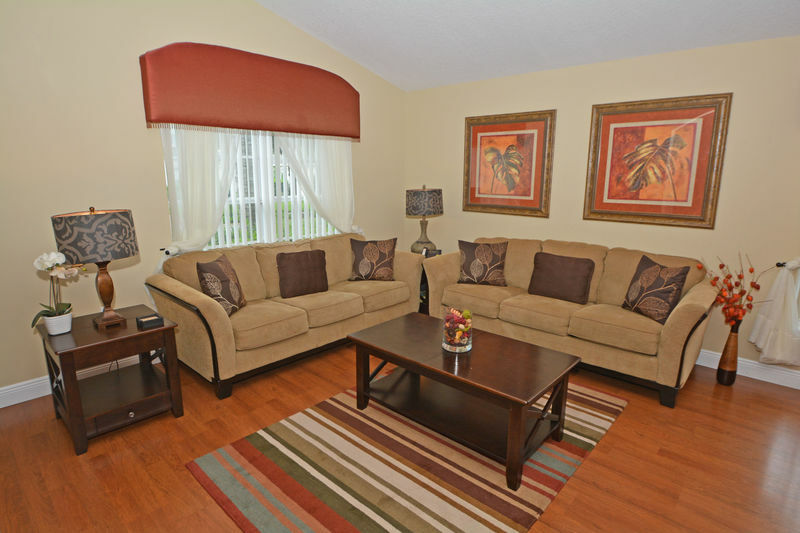 Sitting room with 2 large sofas, coffee table and family dining table with seating for 6 people. 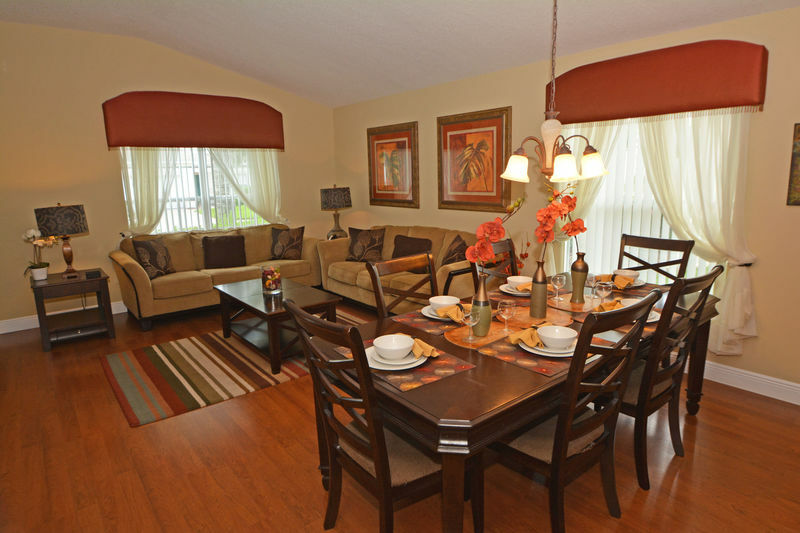 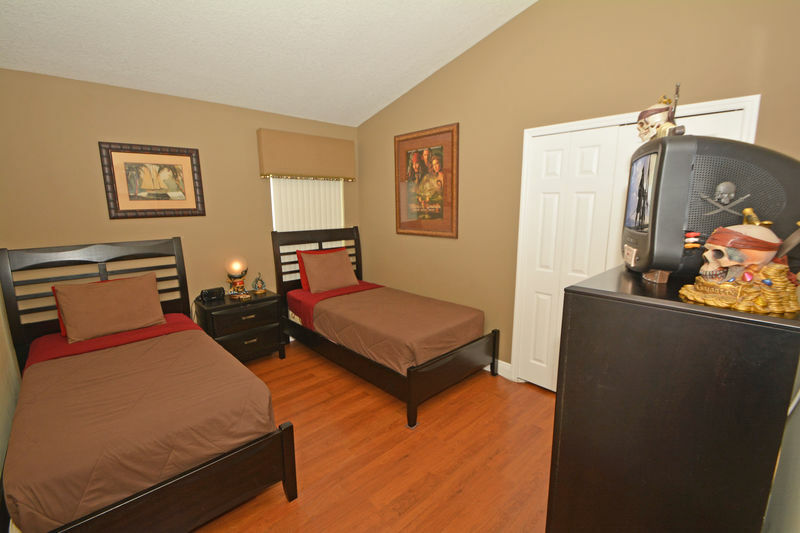 Family room with two large sofas, 50" flat screen TV, video/DVD player, PS2 with assorted games and DVDs available. 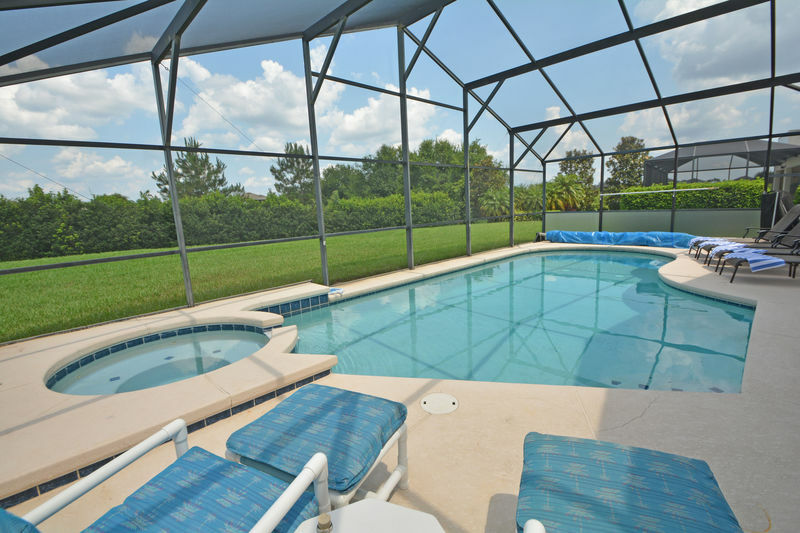 Access to pool area. 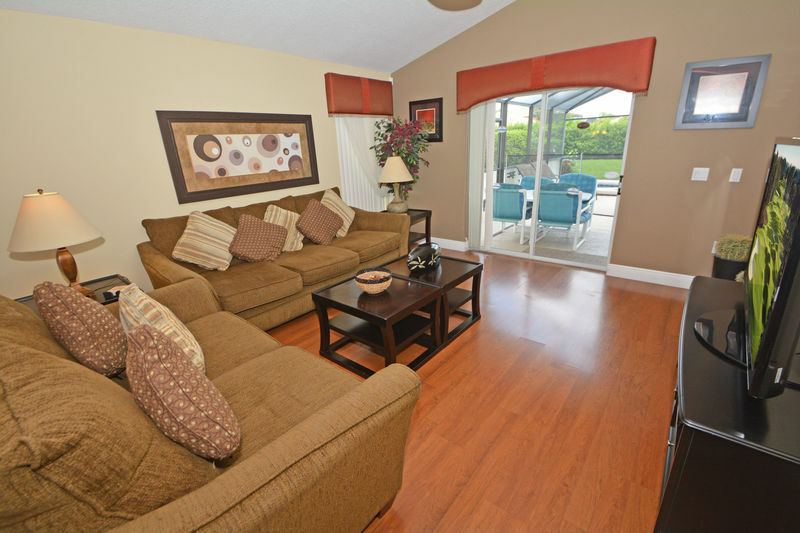 Laundry with washer, dryer, iron, ironing board, pool and beach towels. 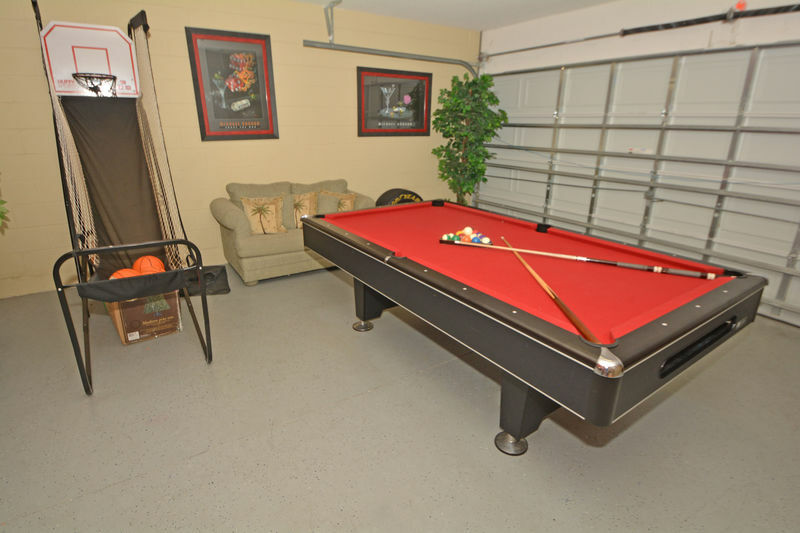 Games room with dart board, football table, pool table, basketball game, sofa, board games and books. 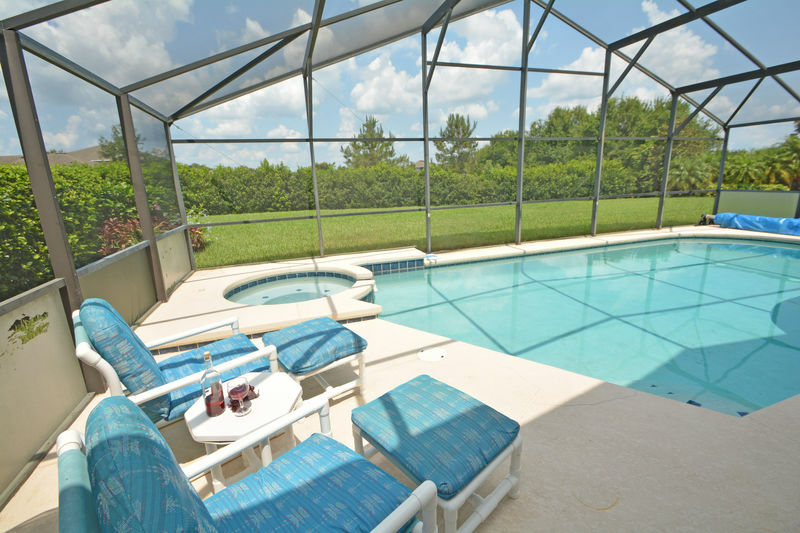 Covered pool with spa and upgraded patio furniture, outdoor shower. 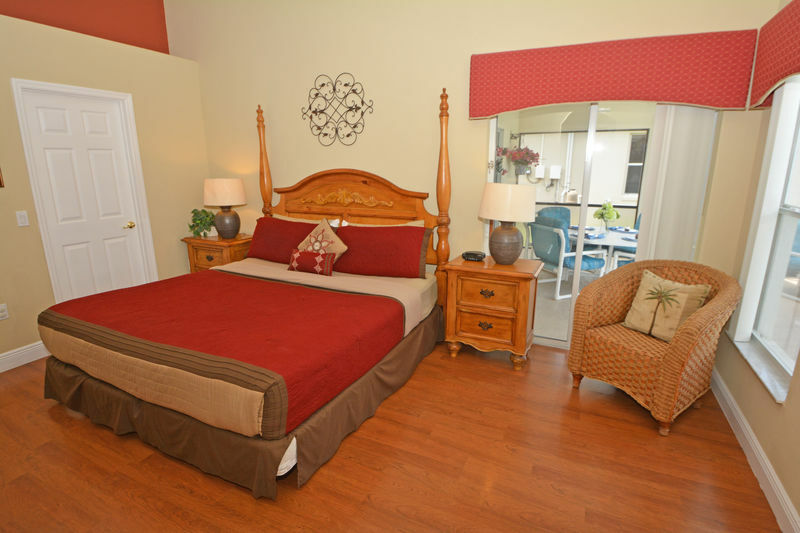 During your stay enjoy high speed Internet access, free phone calls to the US and Canada, a safe and a house alarm for additional security.